Exercise is critical to your overall heart health, but it is also very important for mental health, as it helps eliminate stress hormones and helps increase serotonin release that keeps you feeling happy and combats depression. But did you know that exercise is just as important for the physical and mental well being of your Dog? Dogs and cats and even small pets require physical and mental stimulation. When you look into a bird or hamster cage and see mirrors, wheels, and the like, these toys are for much more than allowing owners to laugh while the animals play with them, they provide a great deal of mental and physical stimulation as well. For cats, something as simple as a toy mouse, some feathers on a string, or a ball that can be rolled around and chased can be quite stimulating for both physical and mental exercise. Dogs have a tendency to need greater stimulation, but the bottom line is that exercise is critical. Exercising your pet has many benefits. Much like in humans, it serves to help boost mental and physical health, improving the heart and mood and helping to get rid of separation anxiety. Play with owners, dog walkers, and other animals can all offer great benefit to your pet, and the exercise can help keep pets from misbehaving out of boredom and separation anxiety. All animals need exercise in order to achieve true health, and providing the means for your pets to do this is your responsibility as an owner. Did you know that many dogs need more than just a simple walk? While walking is great physical exercise, you will find that games like fetch or toys that require your dog to use his or her mind to retrieve a treat from inside a toy can provide much-needed mental stimulation. Boredom and pent-up energy can greatly affect your pet's behavior, and inactivity can have long-term health repercussions for your pet. Take the time to consider a dog walking service or a pet sitter if you are away for long hours each day and look into unique toys that you and your pet can enjoy together as well as those that he or she may enjoy alone. 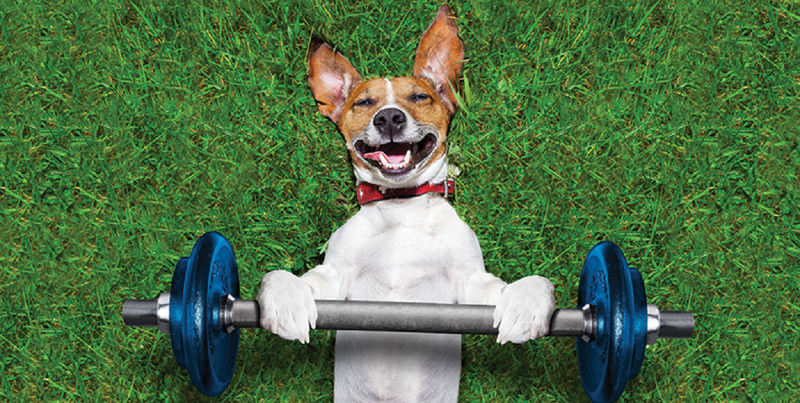 With the right mental and physical exercise, you can have a pet that is truly healthy in all ways. Please, please, please find some way to give your dog the exercise it needs, even if it means finding someone else to walk him. If you can learn to do it yourself you'll build a real bond with your dog and you'll discover that a lot of the problems you may have had with him are a thing of the past.